During 1914-18, medicine and health were critical issues in all countries and in all armed forces. This lecture draws comparisons between different theatres of the war and seeks to explain the different degrees of success with which armies dealt with the medical problems of war. It shows the importance not only of technical and geographical factors but of the growing politicisation of medicine, domestically and internationally. 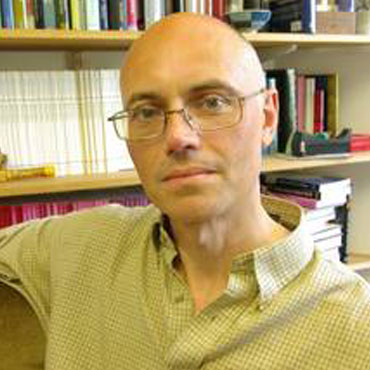 Professor Harrison is Director of the Wellcome Unit for the History of Medicine and Professor of the History of Medicine at the University of Oxford. The First World War was a turning point in military medical history. To begin with, it was the first major conflict – with the partial exception of the Russo-Japanese War (1904-5) – in which there were more deaths from wounds inflicted in battle than were due to disease. The figures for all the armies involved in the Great War aren’t reliable, but from British records alone we can see that the disease-battlefield casualty ratio was dramatically reduced. During the Crimean War (1854-6) there had been 5 deaths from disease to each one inflicted in battle; in the South African War (1899-1902) the ratio had narrowed to 2:1 but in 1914-18 it was slightly reversed – standing at 0.7 to 1. One reason for this was that the enhanced power of modern weapons had increased the number of fatal injuries. But the relative decline of disease-related deaths also reflected dramatic improvements in sanitation and hygiene, aided by some new technologies such as inoculations against typhoid and paratyphoid fevers. Indeed, this improvement in disease prevention was one of the most impressive medical achievements of the war. There were also significant improvements in casualty evacuation and treatment, which allowed a far higher proportion of soldiers to survive their wounds and in many cases to return to battle. This was partly due to better wound management but also reduced evacuation times in theatres such as the Western Front, in which there was extensive use of ambulance trains and motor ambulances. Most combatant nations – with the exception of the Ottoman and Russian armies – experienced these improvements. It was a measure of both advances in medicine and of rising expectations. Over the previous twenty or thirty years, most advanced industrial nations had experienced falling mortality rates and there was a sense that deaths from infectious diseases – or even from wound infection – were no longer inevitable. The rise of humanitarian organizations such as the Red Cross contributed to this mood and led many to believe that care on the battlefield was a duty which the state owed those who risked their lives for the benefit of the nation. By the time the First World War broke out, care-giving and medical relief were among the most visible aspects of propaganda. There were large donations towards medical aid and thousands enlisted as nurses, doctors and medical orderlies. At the same time, the state was increasingly aware that medicine could give armies a crucial edge in battle. Moreover, as the war progressed and casualties mounted, there was a strong economic and military case to preserve as much manpower as possible. At the beginning of the war, most British casualties were evacuated as far from the front as possible. The intention was to return the majority of casualties to the United Kingdom because it was thought that morale would be better as a result. However, heavy losses in the first two months meant that this could no longer be sustained and it was decided to treat casualties closer to the front whenever possible. This also increased their chances of making a good recovery, as there was less time for wound infection to set in before they received proper attention. Many men were, of course, returned to the front to be wounded yet again or killed in action. Nevertheless, the success of these initiatives was striking. Of the 5,517,455 British casualties admitted to hospital in France and Flanders, 2,981,232 or 54 per cent were returned to duty in that theatre. Had it not been for the development of forward treatment, it is unlikely that the British – and other combatant nations – would have been able to continue the war for so long. The key to the success of forward treatment was the Casualty Clearing Station. Initially called Clearing Hospitals, these forward units had been devised prior to the war, in the light of experiences in South Africa. However, during the opening months of the war, there were few such institutions and conditions in them were causing concern among the public at home. After an appraisal of the situation in the autumn of 1914 it was decided to re-name these units as Clearing Stations because the name Clearing Hospital had led the public to expect proper hospital facilities, rather than the semi-mobile units which were deployed. They made use of tents or abandoned buildings as the situation required. But the re-designation of the CCS was more than a cosmetic exercise. As the need for forward treatment was keenly felt, many CCSs came into being and from December 1914 they received more staff, including female nurses. Typically, the CCSs would be established just behind the firing line, although some were vulnerable to artillery bombardment. Their role was to triage casualties sent up the line from the Regimental Aid Posts and Dressing Stations closer to the front. Some were returned to duty shortly after their wounds were dressed, whereas the more seriously wounded would receive surgical attention and then be conveyed to one of the larger hospitals to the rear. These institutions were linked by Motor Ambulance Convoys, and ambulance trains and barges. They acted as conveyor belts in what had become a vast and normally very efficient ‘Medical Machine’. As time went on it, units became more specialised, some being established solely to deal with different types of injury or disease. Even the CCSs and in some cases the dressing stations began to develop specialist functions in everything from shell shock to surgery. In the remainder of this lecture I will discuss each of these variables in relation to many of the theatres to which the British Army was deployed, making occasional reference to the state of health and medicine in other forces. My aim is to show how these factors interacted and which was ultimately the more important. Chief among the geographical factors affecting health and medicine was disease ecology. Each theatre posed a unique combination of epidemiological problems. On the Western Front, respiratory diseases and influenza were rife during the colder months and dysentery occasionally occurred in epidemic form during the summer. Typhoid and other common infectious diseases were widespread among civilians. However, these could be prevented quite effectively using inoculation and by strict enforcement of sanitary regulations. Typhoid inoculation had been developed by Almroth Wright at the Army Medical School at Netley in the 1890s but it had been controversial, partly because of the severe side effects which often occurred before the dosage was properly standardized. Some doctors also claimed that the procedure would detract from basic sanitation. As a result, inoculation was hardly used in South Africa, where it would probably have saved hundreds if not thousands of lives. In the intervening period, large field trials were conducted among British troops in India which established both the safety and efficacy of the vaccine. Other countries came to the same conclusion and in or around 1910 it was made compulsory for new recruits in several countries including the United States. In 1914-18, British soldiers were also strongly encouraged to undergo inoculation but unlike the Germany army, it was never made compulsory. Fortunately, the up-take was sufficiently high to leave most men well protected, notwithstanding the activities of anti-vaccinationists. The close proximity of bath houses and disinfecting stations also helped to maintain a reasonable state of health on the Western Front, some being improvised from large industrial buildings such as breweries. This certainly helped the situation, as clothing and bedding could be sent to be thoroughly cleaned. However, day to day hygiene the trenches was far more difficult, not least the control of lice. Despite constant delousing and desperate expedients such as turning underwear inside out, ‘trench fever’ – louse-borne relapsing fever – was common, causing much sickness and some deaths. Fortunately, its more deadly cousin, typhus, was rare in Western Europe. However, in Eastern Europe and Russia where typhus was endemic, the dislocation caused by the war caused a terrible epidemic which affected troops and civilians alike. Over 3 million people died from this disease. However, the German and Austrian armies maintained a strict sanitary cordon which screened points further west from the ravages of typhus and all troops returning from the Eastern Front were deloused. Due largely to the precautions taken by the Central Powers, the British never faced a serious risk from typhus in Europe but they did in Egypt and the Middle East where they put in place similar procedures, including the use of disinfection trains to delouse soldiers, prisoners of war and many thousands of civilian labourers who were recruited to for essential works in the Sinai Desert and beyond. As a result, deaths from this feared disease remained low. However, in the Middle East and other theatres away from the Western Front, the British Army suffered from many other diseases. In Mesopotamia and Gallipoli, dysentery and other enteric infections posed the greatest problem. On Gallipoli, there was a plague of flies as a result of the enormous amount of human excrement which littered the beaches – a result of the failure to make headway in land and the failure to send sanitary equipment. It was practically impossible to eat without the food becoming covered in flies and infection with dysentery and similar diseases was almost inevitable. In East Africa, Palestine and Salonika the greatest losses were from malaria. In East Africa heavy losses among white troops – mostly recruited from South Africa and Rhodesia – led to them being evacuated from the theatre. They were replaced to some extent by Africa troops who were thought to possess immunity to malaria. Some did but many others did not. Similarly, large numbers of Indian troops were sent to the theatre and experienced very heavy casualties. This continued despite concerns in India that the Army was being denuded of men needed to maintain order on the North West Frontier. Morale among Indian soldiers in East Africa was also extremely low and many feared that it would lead to trouble there and in the Army’s main recruiting grounds. In Salonika, practically no-one escaped malaria at some point in their deployment. As there were up to 400,000 soldiers there at the peak of the deployment, this placed an enormous burden on the medical services. Men were normally admitted to hospital several times a year. Some endured over half a dozen bouts in hospital with malaria – either in Salonika or the big hospital base in Malta - before they were evacuated home. This inevitably had a depressing effect on morale – especially galling was the allegation that soldiers had deliberately contracted disease to get some time away from the fighting. Some British soldiers who contracted malaria in Salonika were unfairly accused of this despite having endured many bouts of sickness. However, the medical authorities knew that this was not the case. The real problem was that the anti-malaria drug, quinine, which was quite effective in treating the disease, was of little use as a prophylactic. It had been used in this way for decades but its efficacy had never seriously been questioned until now. By 1916, however, it was clear that it was not very effective and other measures were used when possible, such as mosquito nets and drainage works. Unfortunately, these forms of protection were hard to keep out outside of the main bases. However, disease took an even greater toll in the Ottoman armies than in those of Britain and other European powers. Most of the territories occupied by the Turkish army experienced severe epidemics of cholera, smallpox, typhus, malaria and dysentery. Every army experienced heavy morbidity and mortality at the end of the war from influenza. As a result, it did not confer an advantage on any particular army. But in the Middle Eastern theatres, flu-related mortality was probably higher due to simultaneous infection with falciparum malaria – the most deadly form of the disease. This combination of infections also claimed many lives among the displaced peoples of the Middle East, with whom the British Army had to deal in large numbers at the end of the war. In Palestine and Iraq they encountered many people fleeing from Turkish oppression and were confronted with a humanitarian and medical problem of enormous dimensions. It is very much to the credit of the Allied armies that they dealt with this problem effectively and humanely, while simultaneously confronting the same problems in their own forces and among Turkish prisoners of war. Other geographical factors also had an impact upon health and medicine. Climate had a direct bearing on medical conditions such as frost-bite and heat-stroke as well as on transportation. Harsh terrain also had an adverse impact on the evacuation of casualties, as did the existence or otherwise of transportation facilities. On balance, most of these elements presented more favourably in France and Belgium than they did in other theatres such as Gallipoli and Mesopotamia. On the Western Front, casualty evacuation was often impeded by mud and heavy rain but on the whole it benefitted greatly from the existence of decent roads, railways and canals. Casualties could therefore be more certain of attention within the crucial time-frame necessary to address problems such as wound shock and wound infection. In Gallipoli and Mesopotamia, however, the absence of such networks lengthened the time it took for soldiers to obtain critical medical assistance. These different environments clearly help to explain the relative health of troops but some of the difficulties presented by climate and terrain could be eased or magnified depending on the nature of military operations. In Gallipoli the problems of harsh terrain and disease ecology were increased because it was a complex amphibious operation that required a high degree of coordination between different services. Medical arrangements also depended on the ability of the expeditionary forces to penetrate inland, so that they could establish hospitals away from the line of fire. In the event, they made little headway and inter-service cooperation was poor. The Army had therefore to rely on animals such as mules and on stretcher bearers for casualty evacuation. In Mesopotamia, the chief problem was that the lines of communication were over-extended. The British and Indian armies’ rapid advance from the bridgehead at Basra to Baghdad left casualties extremely vulnerable. There was no rail network and few proper roads. Casualties had therefore to be evacuated down the River Tigris on barges, which were in short supply during the first two years of the war. The great slowness of evacuation cost many sick and wounded soldiers their lives. By contrast, the static nature of warfare on the Western Front from late 1914 to the German spring offensive of 1918 enabled an elaborate system of casualty evacuation to develop. The same conditions also allowed a fairly effective sanitary infrastructure to be constructed. However, the war of movement in Mesopotamia made similar arrangements far more difficult and lengthy lines of communication hindered the supply of food and medicines to the front. One result of this was a serious outbreak of scurvy among Indian troops, causing over 10,000 to be evacuated in the summer of 1916. One of the few problems unique to the Western Front was ‘shell shock’. The number of psychiatric casualties from the fighting in France and Belgium mounted steadily from 1915 and probably reached its peak in 1916. Thereafter the numbers began officially to decline, not due to any reduction in the stress of combat but largely as a result of official policy. After the huge numbers of psychiatric cases which occurred during the Somme offensive of 1916, the British Army decided that such cases should be dealt with at the first opportunity rather than evacuated. Thereafter, men were persuaded to return to the front after a brief period of rest and ‘encouragement’ from medical officers. From 1917, most soldiers showing primary symptoms of psychiatric disturbance probably made it no further than the regimental aid post, only slightly detached from the firing line. Those who did go further were treated in specialised centres, most of which were located in casualty clearing stations or separate wards of general hospitals located in bases such as Rouen. It was much the same in the armies of the other combatant nations, except in the case of the French and German armies it was usually possible for troops to enter more specialist units sooner than in the British case. This did not necessarily mean that the treatment was better, however. There is no evidence that specialist psychiatric provision made much difference to recovery at that time. Indeed, some of treatments resorted to in such institutions – like electric shock treatment – were probably less effective and certainly less humane than the simple rest and reassurance procedures used closer to the front. Taking disturbed men away from their units may also have served to compound some of these mental disorders. None of these methods, however, was able to deal with the longer term implications of these disorders. Aftercare was either patchy or more usually non-existent. In Mesopotamia and other theatres apart from the Western Front there were very few specialised facilities for psychiatric casualties and they came relatively late in the war. Indeed, there were hardly any recorded cases. Why this is so is unclear. One possibility is that the nature of war on the Western Front – the long periods of stasis, the feeling of being ‘imprisoned’ in the trenches, the costly and frequently pointless frontal assaults – may have been more conducive to psychological trauma than largely mobile campaigns such as those fought in Mesopotamia, Palestine and East Africa. But it seems equally likely that the vast majority of psychiatric cases in those theatres were masked by other medical problems. Most troops in Mesopotamia or Gallipoli, for example, were hospitalised with dysentery and other enteric infections. Operational and geographical difficulties could be overcome, or at least ameliorated, if ample resources were available. This was generally the case on the Western Front, apart from shortages of motorised transport. These deficiencies were soon remedied – initially by donations from civilians throughout the Empire – and at no point in time was there a serious shortfall of medical equipment, personnel or transportation. Of course, during large engagements facilities were sorely taxed. There were also debates about how to allocate medical manpower. But a great deal of thought was given to using resources in the most efficient way. A business model was introduced and each allocation was carefully costed. Time and motion studies were conducted in medical units – as far forward as CCSs – to determine the best way of utilising manpower. Units also worked closely together to deal with the flow of casualties after battles. There were, however, times when these arrangements were thrown into chaos – most obviously during the German spring offensive of 1918, when many forward medical units were overrun by the German advance. Yet the Allied medical services on the Western Front were able to compensate for the loss of forward hospitals by using motor ambulances to mop up the wounded. In marked contrast, when the Ottoman army – starved of supplies and equipment – found itself in retreat in 1918 it lacked the resources it needed to maintain care for its soldiers. Turkish soldiers captured by the Allies were usually in a dire state, suffering from a range of infectious and deficiency diseases. Conditions in Turkish hospitals were equally notorious. Many were covered in faeces and flies and their inmates were deprived of food and medical attention. At the start of the war in the Middle East, these problems were by no means confined to the Ottoman forces. In fact, the latter may have been better initially than the men of opposing armies. After the first Gallipoli landings, there were not enough hospital ships to carry the British and ANZAC wounded away from the peninsula and resort had to be made to transport ships. The inadequate medical and nursing facilities on these vessels – and the lack of hospital beds prepared for the reception of casualties in Egypt – led to severe criticism of the British government. By 1916, however, the government in London was pouring more resources into medical care in the Middle East and giving thought to its reorganisation on ‘business principles’. There was a dramatic improvement of medical care in Mesopotamia from 1916, when the direction of campaign was switched from the Government of India in Delhi to the War Office in London. Up to that point, commanders in Mesopotamia had found it difficult to obtain even the most crucial supplies. The key factor in many respects was transport. The arrival of more river barges, as well as the construction of roads and railways, transformed medical evacuation in what is now Iraq. By the end of the war, the Allies were running motor ambulance convoys which stretched thousands of miles from Baghdad to northern Persia. The problems experienced in non-European theatres persisted for much longer than they needed to because of a lack of external scrutiny. As soon as a problem was encountered with medical evacuation or treatment on the Western Front, it was quickly brought into the open. The theatre was awash with journalists and civilian medical volunteers who believed that it was their patriotic duty to reveal such problems and ensure that they were remedied. The absence of such persons in Gallipoli meant that it took far longer for conditions there to be brought to the attention of the public in Europe or in Australia and New Zealand. When the news did eventually break, there were howls of protest and the military authorities were compelled to improve the situation. The same was true of Mesopotamia, where medical volunteers from the Red Cross were actively excluded for the first two years of the campaign in order to conceal the true state of affairs. Even the government in London was largely unaware of the scale of the disaster unfolding there, such was the effort put into keeping bad news from leaving the theatre. This takes us to the final and, in many respects, the most important factor affecting the medical situation in the different theatres – the relationship between combatant and medical officers. The South African War showed clearly that one of the main reasons for high rates of disease and inadequate treatment of the wounded was the failure of commanders to heed medical advice. Despite attempts to conceal the medical breakdown in South Africa, and later to detract blame from commanders to medical officers, it was eventually admitted that commanders needed to consult with medical officers when planning operations. If arrangements for the evacuation of casualties were not made in advance and constantly adapted to changing operational conditions then disaster would inevitably result. The same was true of hygiene. If commanders took little notice of medical officers, they were unlikely to maintain the health of their troops. At the same time, the high standard of health maintained by the Japanese during their war against Russia provided a positive example to follow. In the years running up to 1914, it seemed that commanders were beginning to take medical matters more seriously. Special training was made compulsory for senior officers at the British Army’s staff college and for the non-commissioned officers who were immediately responsible for the conduct of their men. When war broke out in 1914, senior commanders in London and on the Western Front took a keen interest in medical matters and included senior medical officers in meetings of the general staff. The influx of many eminent civilian doctors from 1915 also undoubtedly helped matters. Commanders such as Haig showed real respect for medical officers and met with them regularly. However, it took some time for similar relationships to develop in other theatres. There, old style colonial attitudes prevailed and medical officers were excluded from the inner circle of commanders planning and directing operations in Gallipoli and Mesopotamia. Prior to the Gallipoli landings, for example, medical advice was frequently ignored by General Hamilton and his staff officers or dismissed as unrealistic. The result was a serious under-estimate of casualties, a dearth of medical transport and medical units, and no planning for the sanitary needs of the force. Much the same thing happened in Mesopotamia. General Nixon – an Indian Army cavalry officer who was in charge during the rapid advance from Basra – failed to plan for medical evacuation and sanitation with disastrous results. Moreover, he did his best to conceal the deepening problem from his superiors in Delhi and London. From 1916, however, the medical situation in some theatres outside Europe began to improve, partly as a result of more resources and partly due to the appointment of new commanders, many of whom had experience of the Western Front. A more professional attitude was evident and medical officers were actively involved in planning operations. As a result, the medical situation in Mesopotamia was turned around. Ironically, however, one of the generals who presided over this improvement - General Maude – was himself to die from cholera in Baghdad, in 1917. The expedition into Palestine in 1917 was also managed extremely well from a medical point of view as a result of the appointment of General Allenby, who had gained experience as a staff officer on the Western Front. Allenby maintained strict sanitary and anti-malaria discipline in the expeditionary force and was able to preserve its health until the last phase of operations which took the army into the malarious Jordan Valley. Thereafter, the environment was so hostile from a medical point of view that very little could be done. Fortunately, Allenby had given considerable thought to medical care and evacuation and so the enormous numbers of military casualties, as well as POW and displaced persons, were dealt with quite effectively. The lessons learned by the British Army outside the Western Front had been hard but they were not forgotten. For years afterwards what had happened in Mesopotamia and Gallipoli provided an object lesson in how not to return a campaign. Indeed, the commanders of most combatant nations entered the Second World War with a keen awareness of what had worked in 1914-18 and what had failed. They were determined not to make the same mistakes. Perhaps the most important lesson was that much could be done to preserve health and morale in even the most unfavourable environments. This could only be done if medical and combatant officers worked effectively together, from the planning of operations through to their completion. The creation of an institutional culture which promoted this interaction was crucial to success – even more than technical advances in preventive medicine or treatment of the wounded. Anrold, Ken, Peto, James and Vogel, Klaus (eds. ), War and Medicine (London: Black Dog, 2009). Dolev, Eran, Allenby’s Military Medicine: Life and Death in World War I Palestine (London: I.B. Tauris, 2007). Harrison, Mark, The Medical War: British Military Medicine in the First World War (Oxford: Oxford University Press, 2010). Leese, Peter, Traumatic Neurosis and the British Soldiers of the First World War (London: Palgrave Macmillan, 2002). Õzdemir, Hikmet, The Ottoman Army 1914-1918: Disease and Death on the Battlefield (Salt lake City: University of Utah Press, 2008). Tyquin, Michael, Gallipoli –The Medical War: The Australian Army Medical Services in the Dardanelles Campaign of 1915 (Kensington, NSW: New South Wales University Press, 1993). Shephard, Ben, Soldiers and Psychiatrists 1914-1994 (London: Jonathan Cape, 2000). Van Bergen, Leo, Before My Helpless Sight: Suffering, Dying and Military Medicine on the Western Front, 1914-1918 (Farnham: Ashgate, 2008). Whitehead, Ian R., Doctors in the Great War (Barnsley: Leo Cooper, 1999).